The Problem: Delta Hydraulics is a one-stop shop for all hydraulic systems: manufacturing, restoration, flushing, rentals, part sales, and more. They came to us looking for a corporate-level hydraulics/ industrial website that easily introduces their services and attracts the right customers. Our Solution: We incorporated their current branding and created a custom site that portrays their skill sets and organized their content to prepare for search engine optimization. Using a WordPress platform allows for a user-friendly dashboard that allows them to update their sites as new products and services become available. The result is arguably the best hydraulics website design in Houston TX. 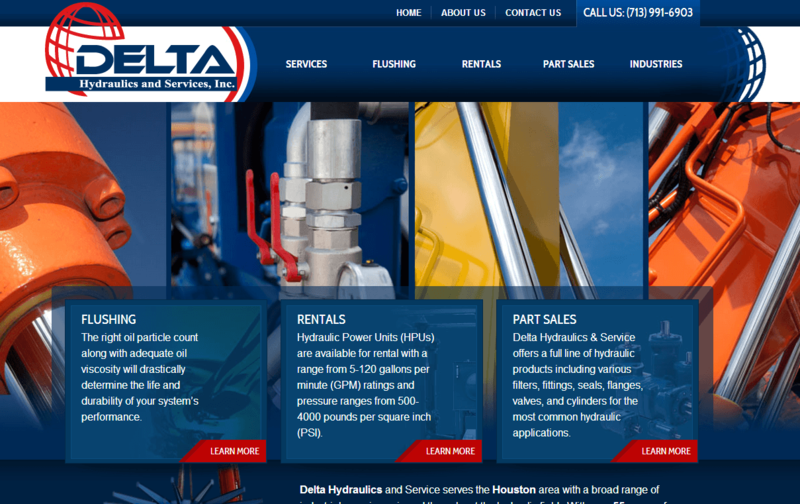 Other Services: We are providing ongoing SEO (search engine optimization) for Delta Hydraulics to move them up the search engines for a very competitive field in Houston TX.